Dr. Stephan Yacoubian is a Board Certified Orthopedic Surgeon who specializes in problems of the shoulder, knee, and hip. He emphasizes conservative non-surgical treatment for most issues. His surgical expertise encompasses minimally invasive arthroscopic surgery, primary joint replacement surgery and fracture repair surgery. 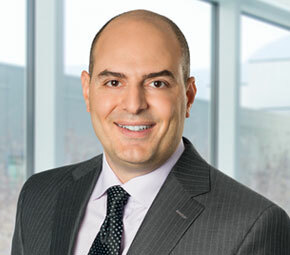 Fellowship trained in sports medicine and arthroscopic surgery at the renowned University of Connecticut College of Medicine, Dr. Stephan Yacoubian treats many sports and trauma related injuries. Dr. Stephan Yacoubian holds the distinction of being a certified Orthopedic Subspecialist in Sports Medicine. This certification, known as a Certificate of Added Qualification (CAQ) requires additional training and subspecialist board examination to obtain. Dr. Yacoubian is the senior partner at OSS and began practice here in 2002; he served as Department Chairman of Orthopaedic Surgery at Providence Saint Joseph Medical Center. Dr. Yacoubian has performed an average of 368 surgical cases per year since 2002. Dr. Yacoubian is dedicated to research. He has conducted and published numerous research studies in peer reviewed orthopedic journals as well as presented at national meetings. He teaches both pre medical and medical students from local universities. Marmor M, Elliott IS, Marshall ST, Yacoubian SV, Yacoubian SV, Herfat ST. “Biomechanical comparison of long, short, and extended-short nail construct for femoral intertrochanteric fractures.” Injury. 2015 Jun;46(6):963-9. doi: 10.1016/j.injury.2015.03.005. Epub 2015 Mar 10. Jagow DM, Garcia BJ, Yacoubian SV, Yacoubian SV. “Recurrent patellar tendon rupture in a patient after intramedullary nailing of the tibia: reconstruction using an Achilles tendon allograft.” Am J Orthop (Belle Mead NJ). 2015 May;44(5):E153-5. Wright RC, Yacoubian SV, Raven RB, Falkinstein Y, Yacoubian SV. “The Extended-Short Nail System, a Novel Concept in the Management of Proximal Femur Fractures.” American Journal of Orthopedics. 2011Dec;40(12).Wright RC, Crouch A, Yacoubian SV, Raven RB 3rd, Falkinstein Y, Yacoubian SV. Non-Traumatic, Dislodged Polyethylene Tibial Insert One Year After Total Knee Arthroplasty: A Case Report. Orthopaedics. 2011 Dec;34(12). Wright RC, Yacoubian SV, Raven RB, Falkinstein Y, Yacoubian SV, “Treatment of Proximal Femur Fractures using an Extended-Short Nail.” Poster presentation. American Academy of Orthopaedic Surgeons, 78th Annual Meeting, Feb 15-19, 2011, San Diego, California. Wright RC, Yacoubian SV. “Sequential Compression Device May Cause Peroneal Nerve Palsy.” Orthopedics. 2010 Jun;33(4):444. Plancher KD, Luke TA, Peterson RK, Yacoubian SV. “Posterior shoulder pain: a dynamic study of the spinoglenoid ligament and treatment with arthroscopic release of the scapular tunnel.” Arthroscopy. 2007 Sep;23(9):991-8. Yacoubian, SV; Fulkerson, JP; “Quadriceps Tendon ACL Reconstruction” Orthopaedic Knowledge Online Chapter, American Academy of Orthopaedic Surgery. 2007. Yacoubian, SV; Fulkerson, JP; “Central Quadriceps Free Tendon for ACL Reconstruction” Chapter 65: Miller and Cole Textbook of Arthroscopy. P669-674 2004. Yacoubian, SV; Nevins, RT; Sallis, JG; Potter, HG; “Impact of MRI on Treatment Plan and Fracture Classification of Tibial Plateau Fractures” Journal of Orthopaedic Trauma. 2002 Oct;16(9):632-637. Luke, TA; Peterson, RK; Yacoubian, SV; Johnston, JC; Plancher, KD, “The Spinoglenoid Ligament: Anatomy, Morphology, Histology and Clinical Relevance with Arthroscopic Release.” Poster presentation: The Western Orthopaedic Association 64th Annual Meeting, Oct 21-25, 2000, Scottsdale, Arizona. Luke, TA; Yacoubian, SV; Johnson, JC; Plancher, KD. “The Spinoglenoid Ligament: Clinical Relevance, Anatomy, Morphology and Histology.” Paper presentation. American Academy of Orthopaedic Surgeons, 67th Annual Meeting, Mar 15-19, 2000, Orlando, Florida. Luke, TA; Yacoubian, SV; Hornstein, J; Sallis, JG; Lorich, DG; Plancher, KD. “Biomechanical Study Comparing IM Nailing and Compression Plating in Forearm Fractures.” Paper presentation: The Western Orthopaedic Association 64th Annual Meeting, Oct 21-25, 2000, Scottsdale, Arizona. Nevins, RT; Yacoubian, SV; Potter, HG; Lorich, DG, “Preliminary Evaluation of Posterolateral Corner Injury in Tibial Plateau Fractures.” Poster presentation: The 15th Annual Meeting of the Orthopaedic Trauma Association, Oct 22-24, 1999, Charlotte, North Carolina. Yacoubian, SV; Nevins,RT; Sallis, JG; Potter, HG; Lorich, DG. “Predictability of Meniscal Injuries in Tibial Plateau by Measuring the Joint Depression and Lateral Displacement Found on Plain Films.” Poster presentation: The 15th Annual Meeting of the Orthopaedic Trauma Association, Oct 22-24, 1999, Charlotte, North Carolina. Yacoubian, SV; Nevins, RT; Potter, HG; Lorich, DG. “MRI Can Change the Operative Management of High Energy Tibial Plateau Fractures”. Abstract presentation: Hospital for Special Surgery 81st Annual Alumni Meeting, Nov 4-5, 1999, New York, NY. Yacoubian, SV; Nevins,RT; Sallis, JG; Lorich, DG. “Comparison of MRI, CT and X-rays in Evaluating Fracture Classification and Soft Tissue Injuries in High Energy Tibial Plateau Fractures.” Paper presentation: The 61st Annual Meeting of the American Fracture Association, May 13-16, 1999, Tucson, AZ. Yacoubian, SV; Luke, TA; Rovner, AD; McGillicuddy, J, “The Torsional Strength of Bioabsorbable Interference Screws in Anterior Cruciate Ligament Reconstruction.” Poster presentation: The 66th Annual Meeting of the American Academy of Orthopaedic Surgeons, Feb 4-8, 1999, Anaheim, California. Yacoubian, SV; Villereal, LP. “EIA Mediated Episomal Persistence of Polymavirus: Effects of Cellular Growth Conditions on Episomal Stability.” Paper presentation: The 7th National Institute of Health Symposium on Viral Latency and Persistence, Mar 26-28, 1992, Newport Beach, California. In the coming weeks, Stephan V. Yacoubian, M.D., the joint replacement surgeon at Orthopaedic Surgery Specialists, will be giving free lectures to the community on how to manage knee and hip pain using minimally invasive techniques. On Wednesday, October 30th from 6:00 PM – 7:30 PM, Dr. Yacoubian will specifically discuss minimally invasive techniques for total knee replacements. On Tuesday, November 12th from 6:00 PM – 7:30 PM, Dr. Yacoubian will discuss minimally invasive total hip replacement options. Both lectures will be held at Providence Saint Joseph Medical Center. Parking is free and light refreshments will be served. To attend, please call: 1-888-HEALING.